Just west of the beautiful waters of Belize, head into the jungle to find the Gaïa Riverlodge which provides the perfect base from which to explore Belize’s natural wonders.With magical views of the falls and the surrounding jungle forest reserve, the lodge provides you with the perfect environment to sit back and relax to the sound of cascading water. Perched on the edge of a valley overlooking the Five Sisters waterfalls, this astounding lodge offers a choice of 16 beautiful private cabanas ranging in size and location. They contain the most incredible designs: Belizean hardwood, traditional bay leaf thatched roofs, and varnished mahogany interiors. And if that isn’t enough already, each cabana features panoramic windows or a private veranda with a hammock, ceiling fans, a bathroom decorated with hand-painted Mexican tiles, beds with pillow top mattresses, and Matouk and Frette linen. The treetops are full with a vast amount of birds, and bird watchers can often be seen spotting out the many species that live among this diverse habitat. Along the trails, you can also witness a spectacular array of over 450 species of orchids, and other exotic plants while butterflies dance around. The restaurant and lounge offer spectacular views, featuring an expansive veranda that wraps around the building. For those who enjoy watching the morning sunrise or sipping on cocktails before dinner, this is the perfect spot! For those adventurers out there, you may enjoy a visit to the Mayan ruins, zip lining the evergreen treetops, exploring the mystical caves of Belize, horseback riding on wilderness trails, and boating along the local rivers. For those who just want to kick back and relax, you can swim in the clear waters of the river just inches from your cabana, or relax in the sun on our tiny river-island retreat. And after a day of adventure, relax in a romantic atmosphere in a lamp-lit dining room and enjoy delicious local Belizean dishes and international cuisine prepared using organic produce from the garden. You can also enjoy other locally grown fruits and vegetables, and seafood from the nearby Caribbean Sea. There is a diverse breakfast options of which include, Continental, American, Belizean and Mayan. The lunch menu on the other hand offers a variety of salads, sandwiches, as well as local Belizean fajitas and enchiladas. The essence of Malie Organics is an all immersive experience. Malie, pronounced mah-lee-ay, translates as calm, serene tranquility, and this organic beauty and luxury spa collection delivers up to its name. Founded in 2004 on the Garden Island of Kauai by husband and wife team, Shaun and Dana Roberts, the line is as committed to the environment as it is to creating a sensory and authentic Hawaiian collection that honors its heritage and the natural abundance of the islands’ luscious fawn and flora. Malie takes its inspiration from Hawaii’s natural beauty and relaxed lifestyle, and with all-natural, organic products embodying its magnificence, the brand honors its local roots using only indigenous plants to create this extraordinary line. The flourishing rainforests of Hawaii offer the purest and most fragrant flowers and fruits in the world. and in preserving the botanical benefits of these fruits and flowers, all products embody Hawaiian Hydrosols – the gentle floral waters that contain every element of the plant at the molecular level. Beyond their commitment to creating a sensuous and authentic Hawaiian experience, Malie’s focus is the health and well-being of people and planet, resulting a line that is as safe and non-toxic as it is luxurious. The collection is not tested on animals, and is free of petroleum, mineral spirits, sulfates, animal products and parabens. Malie Organics’ ingredients range from cultivated organic harvests to the rare wild-crafted plants of the Hawaiian rainforests. All their ingredients are sustainably grown, ensuring constant renewal and replenishment of resources, and the brand prides itself on being Made In the U.S.A, supporting and utilizing the talent and time-honored traditions of local artisans. With Hawaii in our hearts, Malie Organics is an effective, ethical and luxurious brand that takes care of all of our beauty needs and concerns, while sensorially and luxuriously transporting us to its magical islands when we can’t physically be there. Mahalo, Malie. The long-awaited opening of the SunWater Spa and Wellness Center took place on Friday, August 14. Dozens of Spa and wellness seekers soaked in the heated mineral springs water that has made the town a health seekers retreat for more than 150 years; and where indigenous peoples and animals have experienced their curative properties for several thousand years. The kick-off evening featured Heart of the Lion, a New Moon Yoga and Ceremony, purification meditation and soaking. Featuring individual water therapies, Vichy shower, and a mudroom with personalized mineral and essential oil infusions, SunWater Spa offers three floors of restorative mineral soaking tubs. 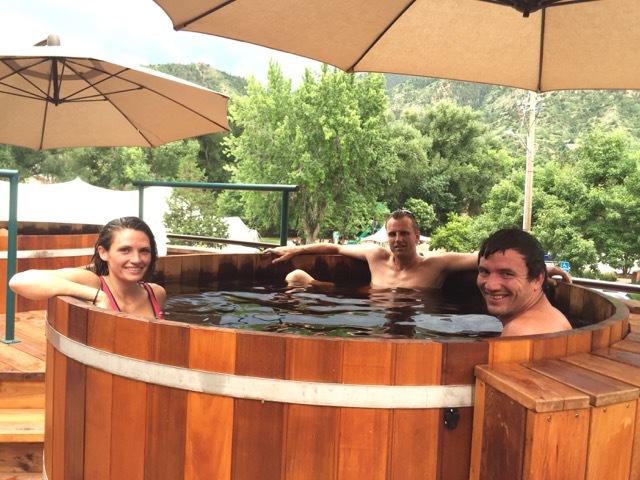 The unique Spa is nestled in the historic mountain town of Manitou Springs, CO, with views of the Granddaddy of them all, Pikes Peak. SunWater offers both traditional and more contemporary forms of Yoga, aerobic movement, and other bodywork in saline pools and tubs. Meditation, dance and tai chi classes will take place in and out of the water. SunWater also boasts soaks subtle yet vibrant colors, textures and other features throughout the Spa, including murtis (sacred statues), represent the treatments and classes ready to experience there. In addition to the therapeutic soaking, SunWater also captures the mineral water from the thirteen mineral springs around the historic town; infusing the fresh mineral water with such natural flavors as watermelon and ginger, serving complimentary tastes throughout the day. 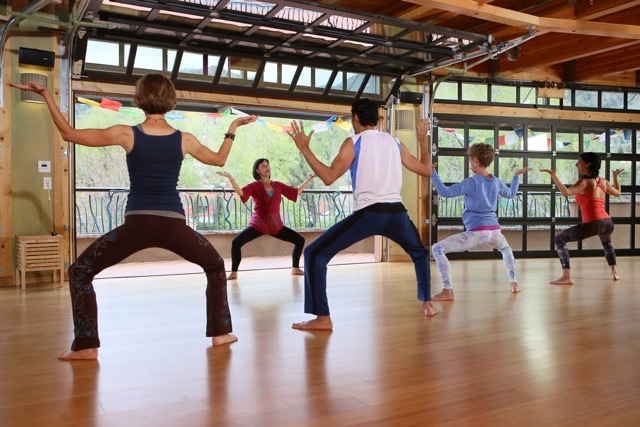 SunWater also offers more than a dozen different Yoga and movement classes ranging from gentle Restorative Yoga, geared towards healing the whole being to the more energy infused M.E.L.T. METHOD, and the more traditional Pilates class. Other treatments offered include such indigenous and natural Facials as the Tea Tree Purifying treatment, which uses tea tree oil, and the Warrior designed for the unique needs of men’s skin. Clients can experience a Desert Glow Vichy with prickly pear cactus oil and a body polish of pure cane sugar; or Inner Peace, a Thai yoga massage rooted in the Indian healing traditions of Ayurvedic medicine, dating back 2500 years; along with Watsu, a deeply relaxing form of aquatic therapy. For further information please visit www.sunwaterspa.com. Photo Credit: Wendy Wilkinson (cover image) and Tom Kimmell.